These M5 Tee nuts are the perfect solution for those seeking bolt-through fittings for 13mm board and are manufactured from grade 304 polished stainless steel for a lasting finish. 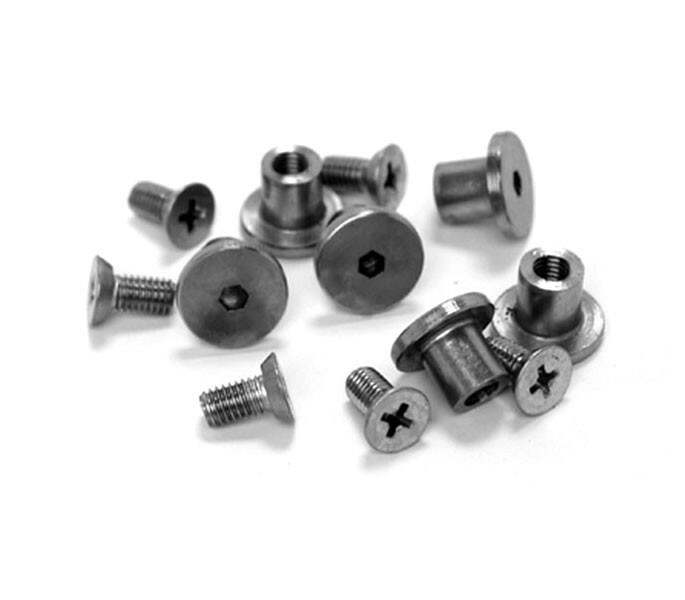 Our M5 Tee nuts and bolt fittings are suitable for 13mm brackets. Our toilet cubicle fittings are ideal for installing the T410P or T400P brackets or T120SM and T121SM hinges. Each pack contains size M5 x 10mm countersunk bolts and six M5 Tee nuts, enough for fitting three brackets.